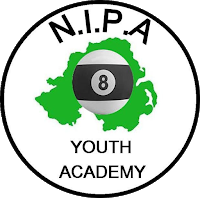 The next NIPA Youth Academy day is on Sunday 29th July, from 1.00pm to 4.00pm. For the Under 18s and Under 23s it will be The Coach Club, Hillsborough whilst the Under 15s will be in Potters in Coleraine. Anyone requiring lifts please let us know as soon as possible so as to allow us sufficient time to try and arrange. For the Under 18s and Under 23s, remember, this will be the last opportunity to attend an Academy event if you haven’t already done so for to be considered for team selection for the World Championships in November in Bridlington, England.